I was reading about the etymology of the word technology and when I saw how tech is written in Greek, τεχ, the first thing came to my mind was TeX! It seems so obvious but I couldn't find any information about the origin of TeX's name so here I ask. English words like "technology" stem from a Greek root beginning with the letters τεχ...; and this same Greek word means art as well as technology. Hence the name TeX, which is an uppercase form of τεχ. Insiders pronounce the χ of TeX as a Greek chi, not as an "x", so that TeX rhymes with the word blecchhh. It’s the "ch" sound in Scottish words like loch or German words like ach; it’s a Spanish "j" and a Russian "kh". When you say it correctly to your computer, the terminal may become slightly moist. On the other hand, it’s important to notice another thing about TeX's name: The "E" is out of kilter. This displaced "E" is a reminder that TeX is about typesetting, and it distinguishes TeX from other system names. In fact, TEX (pronounced tecks) is the admirable Text EXecutive processor developed by Honeywell Information Systems. Since these two system names are pronounced quite differently, they should also be spelled differently. The correct way to refer to TeX in a computer file, or when using some other medium that doesn’t allow lowering of the "E", is to type "TeX". Then there will be no confusion with similar names, and people will be primed to pronounce everything properly. The name TeX is intended by its developer to be /ˈtɛx/, with the final consonant of loch or Bach. The letters of the name are meant to represent the capital Greek letters tau, epsilon, and chi, as TeX is an abbreviation of τέχνη (ΤΕΧΝΗ – technē), Greek for both "art" and "craft", which is also the root word of technical. English speakers often pronounce it /ˈtɛk/, like the first syllable of technical. Donald Knuth instructs that it be typeset with the "E" below the baseline and reduced spacing between the letters. 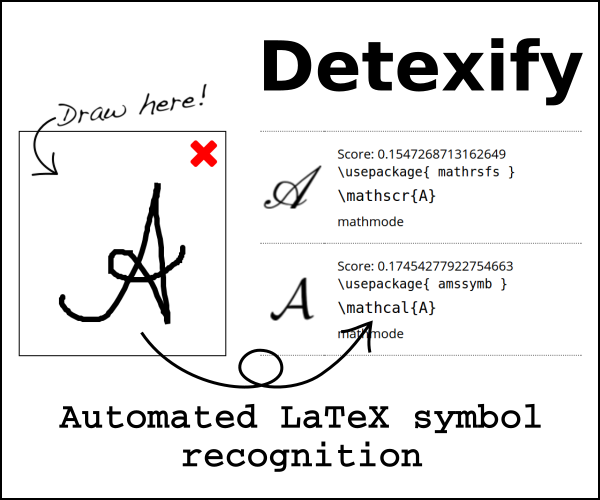 This is done, as Knuth mentions in his TeXbook, to distinguish TeX from other system names such as TEX, the Text EXecutive processor (developed by Honeywell Information Systems). Fans like to proliferate names from the word "TeX" – such as TeXnician (user of TeX software), TeXhacker (TeX programmer), TeXmaster (competent TeX programmer), TeXhax, and TeXnique. It means Technique or craft, ch being written with \chi -- this is what D.E. Knuth had in mind and the art of electronic typesetting greek letters (and other things) is art and craft together. Does italic math originate from TeX?